Robert: I hope you don’t mind if I switch gears a little here from Steel Armor: Blaze of War. This question is for us fans of Achtung Panzer: Kharkov 1943. 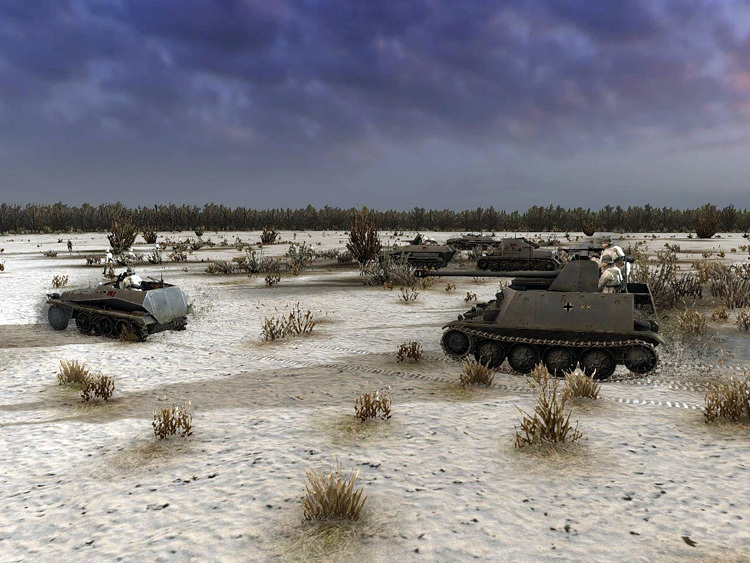 Are you planning to release Achtung Panzer: Operation Star to the non-RU markets soon? Vladimir: This is going to happen in the next few months. SimHQ has several new screenshots here that show many new aspects of Achtung Panzer: Operation Star. Robert: Vlad we have seen Graviteam produce two WWII products and soon you will release a more modern one. Which period of mechanized warfare are you most personally interested in, WWII or a more modern conflict? Vladimir: It’s too hard to pick just one. I do like both very much. Each period has its own very unique features. Still, we can say with some exceptions, most modern wars are shorter and smaller in scope. Also in most cases they are not always representing the full potential of mechanized warfare as was the case in WWII. Robert: Can you tell us what plans Graviteam have for its next series of games? Vladimir: We are planning to simultaneously develop two series — tactical games and simulators. Robert: Of which genre could we expect in the nearest future, tactical or simulator? Vladimir: It will most probably be tactical. Robert: Can you give us any hints as to what era / region the next tactical game will be based on? Vladimir: It most probably will be tactics taking place in the 70-80s of the 20th century (South Africa or Angola as an example) and of course the main thematic will be the Eastern Front of WWII. We are now preparing a micro add-on for the year 1942. Robert: In some of our previous discussions Vlad you made mention that Graviteam will produce another WWII armored simulator in the future. Could you tell us what theater of operations you might be considering? Vladimir: It will probably be based on one of the theaters that will be present in the tactics — Winter 1943, or Summer 1942 (Operation Blau as an example), or most probably Summer 1943. Robert: Vlad, once again thank you for taking time to provide us with these informative updates about Graviteam’s upcoming products. Vladimir: You’re welcome Robert, and I would also like to say thank you to SimHQ for allowing me an outlet to provide these updates, and of course I would like to thank the fans of our products. Again, without them we could never do what we are passionate about. Here at Graviteam we are truly committed to provide our fans, old and new, with the very best tactical and armored simulators, and their continued support makes it all possible.